Belgian design duo A. F. Vandevorst has collaborated with Swedish stylist B. Åkerlund on a ten-piece t-shirt capsule using designs from A. F. Vandevorst's archives to celebrate the brand's 20th anniversary. 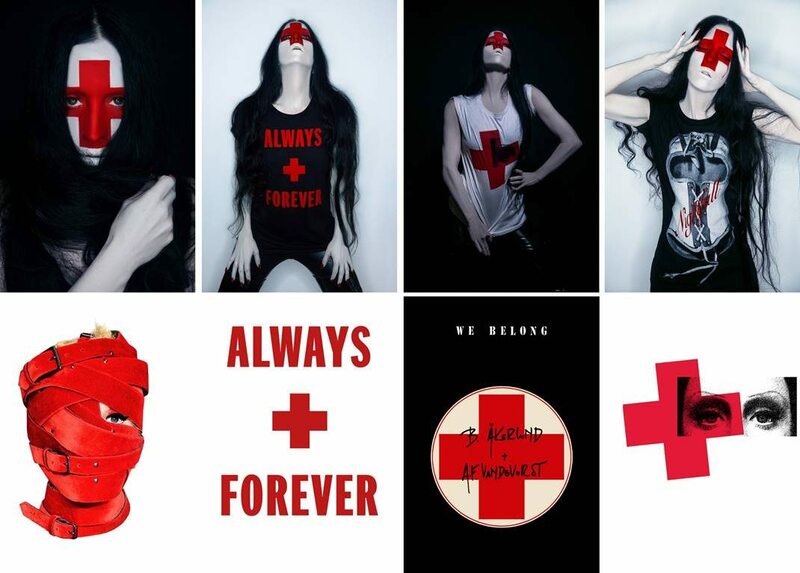 Pieces feature graphics including red crosses and the words "always and forever" in a limited pallet of black, white and red. The collaborative capsule is consistent with an official statement made by the label last August, in which A. F. Vandevorst stated that they had decided to "focus their creativity on shoes, developing their ready-to-wear through collaborations and capsule collections." Campaign photos for the B. Åkerlund capsule, which, according to a release from the brand, features "A.F. Vandevorst key and iconic imagery", were shot entirely on the stylist herself. In the past, Swedish-born Åkerlund has notably styled Madonna, Beyoncé, Lady Gaga, Rihanna, Katy Perry, Britney Spears and Nicki Minaj. The collection will launch exclusively at Opening Ceremony in New York and Los Angeles on Thursday, April 19. To celebrate the launch, designers An Vandevorst and Filip Arickx will host a book signing of their new book, "Ende Neu" at Opening Ceremony in LA, and a 20th anniversary installation will open simultaneously at both the LA and New York locations.